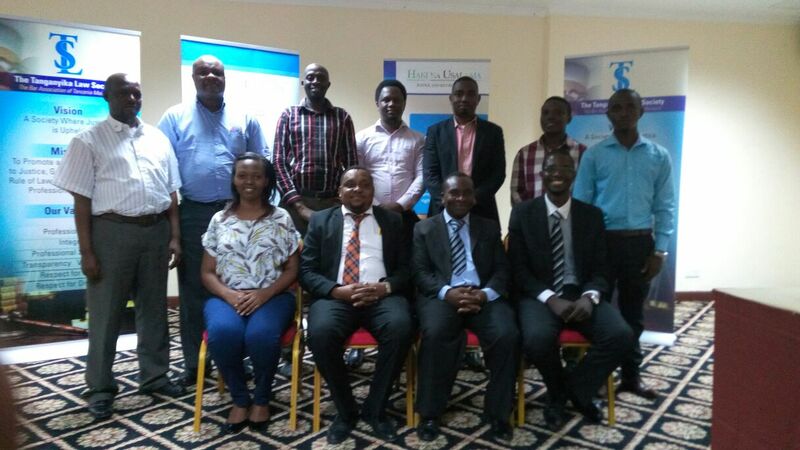 Haki na Usalama Forum members launched a public education booklet titled “101 Things you wanted to know about the police but were too afraid to ask“, on 30 March 2017 at the Seashells Hotel, Dar es Salaam. The booklet, available in English, Swahili and Braille, was jointly developed by Tanganyika Law Society (TLS), Commission for Human Rights and Good Governance (CHRAGG), and Commonwealth Human Rights Initiative (CHRI) under the auspices of and with support from Haki na Usalama Forum members. The Tanzanian publication is modeled on CHRI’s highly successful publication of the same name, which has been translated into 13 languages in India, and is available in Bangladesh, Pakistan, the Maldives, Uganda, Ghana and Kenya. The brightly illustrated and easy to digest publication looks like a child’s comic but gives serious and much needed information to the people of Tanzania and its police in a Q-and-A form. It describes the structure and functioning of the Tanzanian Police Force and provides sensible short answers about the rights of people who come into contact with the police. Commonly encountered problems like rights and duties around a traffic violation are addressed along with lesser known matters like one’s rights on arrest, limits on the use of force by police, the prohibition of torture or ill treatment in custody and how to make complaints if police overstep their powers.